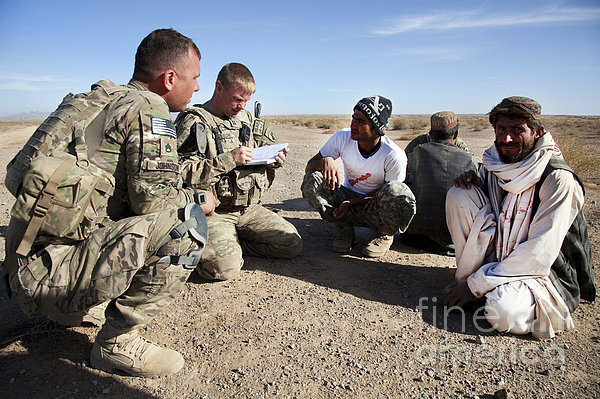 There are no comments for U.s. Army Soldiers Speak With Elders. Click here to post the first comment. December 9, 2011 - U.S. Army soldiers and interpreter speak with elders in the Shorbak Desert, Kandahar province, Afghanistan. 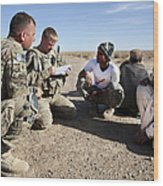 The soldiers are in the area to speak with locals to better understand the area.